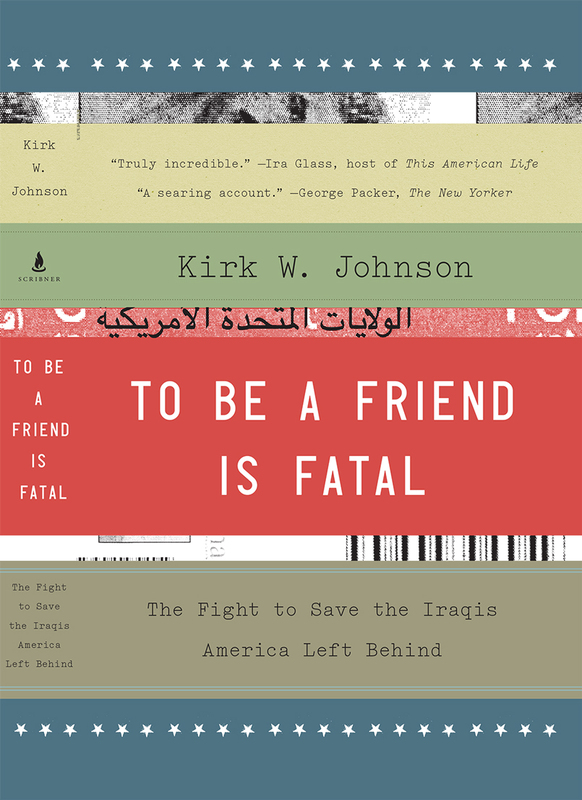 In this weekend’s episode, “Taking Names,” This American Life will devote the entire hour to the story of the List Project, the plight of our Iraqi allies, and the forthcoming book by founder Kirk W. Johnson: “To Be a Friend is Fatal.” (Scribner, September 3). They will also unveil a web complement that we will link to when it goes public, in which you will be able to navigate the fateful correspondence between ‘Omar’ (one of the Iraqis whose story is recounted in the book) and the State Department. Click here to stream the episode or find out a broadcast time on your local NPR station. listened to this twice on NPR. this is the work i want to be doing. how can i be of service to your wonderful organization? please let me know if you have opportunities for volunteers who don’t live in DC. I listened to this podcast while at the gym. I’d never heard about the The List project before, but I am glad I did so I can donate and get on your mailing list. My heart just breaks thinking of what these poor people have endured, and this after assisting our country. Please keep up the important work that you do!